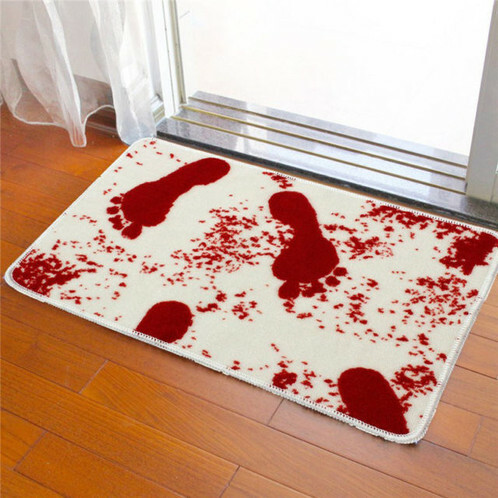 Blood Bath Mat is super absorbent and guaranteed to amuse whoever enters Your bathroom, especially if they are not huge fans of horror movies that contain shower scenes. If You like accessories which remind You of all the gore scenes, this Mat has been designed for You! Soft and Comfortable: PVC mesh bottom, non-toxic, odorless, not moldy. Super Absorbent: absorb water instantly, dust resistance. Easy to clean: Can be cleaned by washing machine or hands. Avoid direct sunlight to Mat which may affect the absorbent power.